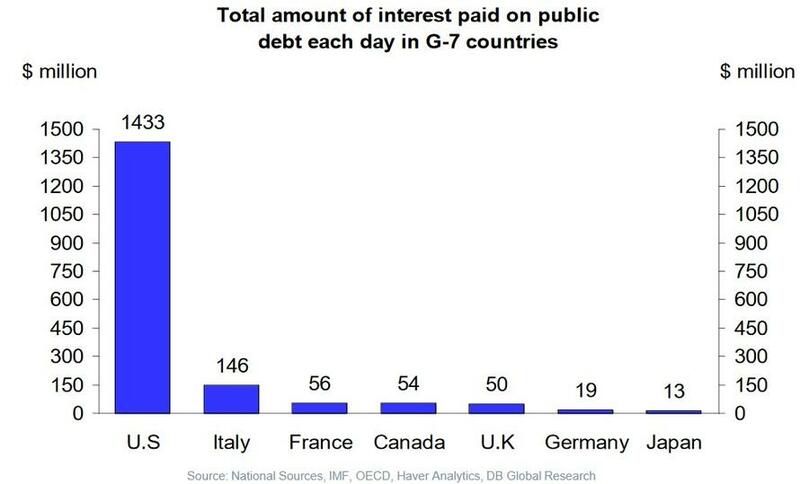 But the truly scary nature of this number is in the context of all other G-7 nations: as the following chart from Deutsche Bank's Torsten Slok reveals, spending on interest expense in the US is now just about $1.5 billion per day, which at current interest rates is orders of magnitude higher than what all other G-7 developed nations spend on interest. 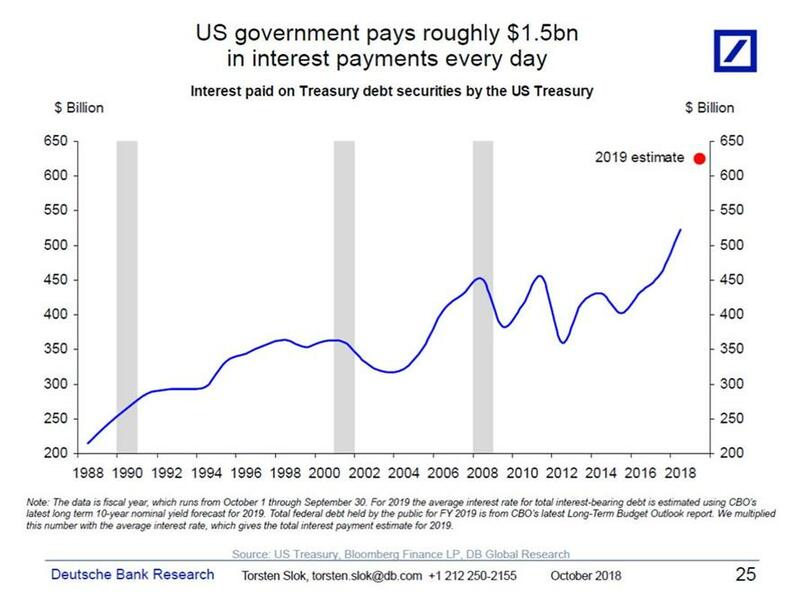 That too is just the start: as Slok notes, "US government last year on average paid $1.5bn each day in interest payments, and this is rising toward $2bn per day over the coming years." And that's with rates still relatively low due to the maturity schedule of US debt, which however is only set to rise as existing debt issued over the past decade during record low rates matures and is replaced with debt yielding far more.